The fastest Fall marathon. Top 20 marathons in the U.S. One of four “marathons to build your vacation around.” Top 10 Most Scenic and Fastest Marathons. These are just a few of the things that Runner’s World said about the St. George Marathon. For those who have run it, it is a truly unforgettable experience. The drive to run a marathon aside, the path and vistas the marathon traverses are incomparable. This October race not only showcases the amazing landscape around St. George, it is also the region’s most beautiful month. In addition to incredible fall colors, the temperatures will be very agreeable. The temperature at the start line ranges between 38 to 44 degrees Fahrenheit. At the finish line, you’ll experience temperatures between 65 and 85 degrees. The St. George Marathon itself is always on the first Saturday of October, falling on October 7 this year. But the fun doesn’t begin there. All weekend long, there are events and entertainment for guests of all ages. An expo with vendors is a big part of race weekend. This year, the Altra Zero Drop Health & Fitness Expo will be held. This is an all-day event that will last from 9 am to 9 pm on Friday, October 6. This is the time that runners may come and pick up their packet. Among multiple businesses, vendors, and their booths, there will be clinics and a keynote address. This year’s keynote address will be given by 1968 Boston Marathon winner Amby Burfoot. In addition to winning the Marathon, Burfoot has run the race 20 times. He has participated in many other races around the world, including having run in the Manchester Thanksgiving Day race every day since 1963. Burfoot will speak on two occasions on October 6, at 11 am and 2 pm. The day before the race there will be several clinic options for runners. This includes the First-Timer’s Clinic at 1 pm and 3 pm and the Clif Bar Pace Team Q&A at 5 pm. Both these events will occur at the Dixie Center Garden Room. Intermountain Sports Medicine will also present Pre-Race Clinics, which comprise of St. George Marathon Pre-Race Lectures. These lectures will take place at the Dixie Regional Health & Performance Center. Load up on carbs the night before with an all-you-can-eat pasta dinner at the Dixie Convention Center. The dinner will run from 4 pm to 8 pm. Tickets are $10 for adults and $5 for children. This will be a great opportunity to mingle with other runners and enjoy some delicious pasta! I Am Able is a “run, walk, or roll event for persons with disabilities of all ages.” It will take place Friday evening at 6 pm at Vernon Worthen Park. This inclusive event has two available distances: 1-mile and 200-meter. For the safety of the participants, each one must have a person without disabilities assisting them. Wheelchairs are acceptable for this event. This all-kids racing event takes place directly after the I Am Able event. Parents aren’t allowed, but there will be mentors available to help any children that need it. This event will also take place at Vernon Worthen Park, and also includes 1-mile and 200-meter distance options. Following the Move It! Kids’ Run and I Am Able events, all are invited to the Party in the Park. This family-friendly event will include a live DJ, prizes, bounce houses, and much more. It will begin at 6:30 pm and run until 8 pm. Starting off race day is the Mayor’s Walk, hosted by the St. George Exchange Club and sponsored by State Bank of Southern Utah and Planet 94.1. This walk will begin at 6:45 am at Sand Town Park, and walkers must finish by 8:00 am in time for the Wheelchair Division. Then, of course, is the actual marathon itself. Runners must be ready at 6:45 am at the intersection of Snow Canyon Parkway and State Road 18. They will receive free transportation to the starting line, 5,243 feet up the mountain. The race will begin promptly at 1 pm. Race officials and public safety personnel will monitor the race. They have the right to remove any runners that run the risk of serious or fatal injury. After the race will be an awards ceremony at the Vernon Worthen Park Gazebo. All who completed the marathon will receive a unique finisher’s medallion. The top male and female runners will receive an all-expenses-paid trip to run in the Ibigawa Marathon/Half Marathon. This will take place Ibigawa, Japan in November 2017. St. George is proud to host the 41st St. George Marathon this year. Whether you are preparing for big races in the future, or just checking something off your bucket list, this is an incredible opportunity. And be sure, if you need some transportation, to ride with us at St. George Express, a proud sponsor of the marathon. Happy running! You’ve all heard the stereotype. A person retires and then spends the rest of their days watching TV and their body fall into disrepair. For 30 years, The Huntsman World Senior Games has worked to eliminate both the stereotype and that sedentary lifestyle. The games began in 1987 as the World Senior Games. It was the brainchild of Daisy and John H. Morgan Jr., who wanted to create an international sporting event for seniors 55 and older. It was their belief that people in this age group could better enjoy their lives by adopting an active lifestyle. And what better way to celebrate this lifestyle than to hold an annual event for seniors all over the world? In its second year, the age limit was moved down to 50. And in 1989, Jon M. Huntsman became the game’s principal sponsor. The event has continued to bring seniors of all different races, ages, and capabilities together from all over the world. There are a large variety of sports that will feature at the Huntsman World Senior Games. You’ll see traditional sports competitions, such as basketball, cycling, soccer, track and field, and a triathlon. You’ll also see seniors competing in table tennis, square dancing, lawn bowls, and cowboy action. From October 9 through the 21st, these sports and games will attract thousands of participants and volunteers to the St. George area. Even for those who are not participating in the games, the area is replete with entertainment, fun, and all types of diversion. Information on accommodations and activities apart from the games are available on the Huntsman Games website. Overall, the Huntsman Games aren’t about declaring gold medalists and ranking nation over nation. The Games inspire an active lifestyle among seniors, 67% of whom report being sedentary for more than 8.5 hours daily.Often, they reinvigorate seniors to a level of activity that surpasses anything they did in younger years. And of course, in keeping with the vision of founder John Morgan, “don’t forget the fun!” The Huntsman World Senior Games never disappoint as a wholly entertaining and fun collaboration of seniors from many different countries and backgrounds. With the Games fast approaching, we want to ensure that you have a way to get to all the action. Book your lodging as soon as you can. St. George is a very accommodating destination, but these Games attract large numbers. And be sure to catch a ride into town with St. George Express. As a longtime supporter and sponsor of the Games, St. George Express is your best bet when coming into town. We’ll see you at the Games! Every St. George resident knows two indisputable facts about their hometown. One, it is the perfect place to live. Utah’s low cost of living plus sunshine, warm weather, and palm trees? Yes, please. Two, it is close to a ton of other awesome places. That’s why we are proud to be your friendly neighborhood St George shuttle service. St George Express has been serving southern Utah for the past 8 years. And as part of the Salt Lake Express family, we have been able to expand to more areas both in and outside the state. This includes metropoles like Salt Lake City, Las Vegas, and Boise. Want to traverse the width of the country? We stop at locations from Montana to Arizona. We’ll say it…we’re kind of a big deal. However, our growth and expansion does not mean we forget where home truly is. We love the sights, sounds, and people of St. George. And we will always be your premier St George shuttle service. Here are some perks for you, our valued St. George Express customer. St George to Las Vegas is only $19. Yep, you read that right. $19 one-way to go visit fabulous Las Vegas. Also accounting for the return trip and a roll of quarters to try lady luck, you’re looking at a day trip of under $50! Real talk. We all love a good road trip in the car, but the moment you hit that city traffic you start having second thoughts. Let our experienced shuttle drivers navigate through that nasty congestion. You just keep on enjoying the ride in relaxation. All the amenities, and more, of your own car. Most of our shuttles have charging outlets, storage space, AND high-back recliners. Plus, our seats have ample room for passengers of all builds and sizes. (Because we love you all equally.) Don’t battle other carpoolers or luggage over legroom. You won’t need to with us. Filling up our shuttles is no small price, but it is worth it to get you safely to your destination! Better yet, skip on pitching in or paying full at the pump completely. You pay for your ticket, period. The rest is on us. We have routes to all the great southern Utah destinations. You don’t need to travel across the country or over state lines to find the beauty or entertainment you’re looking for. Beautiful Zion National Park is just a little more than an hour’s bus ride away. Stop off in Cedar City to see the Dixie National Forest and other attractions. Whether it’s for days at a time at the airport, or for the afternoon, it’s hard to find good parking that’s free. We say, why bother? All you need to do is make sure you’re at your pickup location 10-15 minutes beforehand so we don’t miss you. Don’t worry about the dollars racking up or the safety of your car. That’s why we’re here. We love to give out coupon codes. That’s right, we love our customers so much we give out coupon codes like they’re going out of style. In fact, you know what, here’s one right now: STGEORGELOVE. Just for sticking with us this long. Use it on your next booking for $5 off. Suffice it to say, we think you’re pretty great. And we and our awesome shuttle drivers are proud and pleased to take you to where you need to go. So if it’s a weekend in Vegas, a hike at Zion’s, or a flight out of Salt Lake, or more, count on us. Your friendly neighborhood St George shuttle service. If you are heading down to St. George for a summer getaway, there is no shortage of things to do. The city is a hotspot for dining, entertainment, and recreation. And if you are looking for a gentleman’s sport, there are many places to play golf in St. George. There are so many courses, clubs, and resorts, in fact, that a comprehensive list would be quite the feat. Here we list the top rated places to golf, as rated by Google. Golf Digest has specifically pointed out Sunbrook as the only golf club in southern Utah to feature 27 championship holes. Each nine has its own unique personality and challenges. The first four holes on this nine are fairly run-of-the-mill. However, on the number five hole things get tricky. It is a short par-four hole that borders a desert cliff; if your shot hangs too far to the left, it’ll end up 100 feet down on the second hole. Keep an eye out for the challenging and unique par-four seventh hole. You must carry a treacherous landscape of lava rock as well as a small lake to the right of the green. Apart from boasting a majestic golf course, The Ledges offers a wide array of luxurious vacation rentals, as well as hosting weddings and other events. But you’re here for the golf. The Ledges is a remarkable and unique location to play golf in St. George. Surrounded by beautiful, white sandstone cliffs and remaining 5-10 degrees cooler than other golf courses year round (thanks to its location), the “sweeping vistas” themselves are worth the visit. To append to your golf outing, enjoy drinks at the 19th Hole Lounge after the round. Or enjoy lunch or dinner at The Fish Rock Grille, which serves up an array of entrees. If you’re looking for a more relaxing, but memorable and breathtaking, golf course, Dixie Red Hills is the one for you. Suitable for veterans and greenhorns alike, this golfer-friendly course welcomes all. You also get a great taste for what makes St. George itself so spectacular. The greens contrast beautifully with the red rocks, and hundreds of trees dot the landscape. The Cottonwoods, Mondale Pines, and Mesquite trees provide a great deal of shade on those warm St. George afternoons. Travel just a little out of St. George and you’ll have more opportunities for golf at your fingertips. This includes Green Springs Golf Course in Washington City. The vistas don’t get much more incredible than on this golf course. This 18-hole course will also challenge you. You’ll need to navigate water hazards and red cliffs to make par. Hurricane, UT is just a quick drive from St. George and its Sky Mountain Golf Course is worth the trip. This 72-par public golf course is owned and operated by the city, and sits in one of the most beautiful locations in southern Utah. Sky Mountain is surrounded on all sides by Zion National Park and the Pine Valley Mountain Range, and makes for an enjoyable and scenic day. Looking for a challenge in the picturesque layout of southern Utah? Sky Mountain Golf Course is perfect for you. These are just a few of the many places to golf in St. George. If you are looking for great golf, challenging holes, and breathtaking scenery, it doesn’t get much better than here. Grand Teton National Park is one of the most underrated parks in the United States. Because of the 300 thousand square miles and the iconic peaks of the Grand Tetons, this national park brings in about 3 million people per year (ranking eighth between all national parks). Yearly, all four seasons make an appearance. Here, we’ll highlight the top three things to do in the Grand Teton National Park. The Grand Teton National Park features hikes for everybody. For the most experienced hikers, the Grand Teton beckons. For the beginners and the family day hikers, hikes around Taggart Lake and through Death Canyon are perfect. 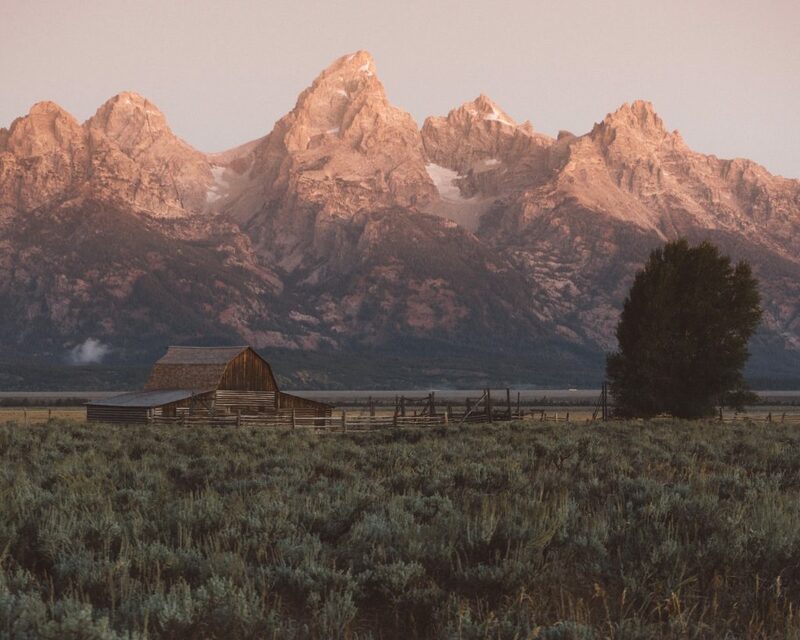 Whether you’re in a group looking to hike an iconic mountain, or just strolling through the national park, the Grand Tetons have what you need. With a landscape littered by lakes, fishing is huge in the Grand Teton National Park. Cutthroat Trout are the most popular fish, but try your luck and you might get something else. Go for it yourself or go with an experienced group of guides – it’s up to you. Learn more about those commercial fishing trips here. A Wyoming fishing license is required. Boating and floating the many lakes could be the most popular activity in the national park. Although you can float any lake, motorboats, sailboats, water skiing and windsurfing is only available on select lakes. See a list of those lakes here. But it’s not just the lakes that are popular – people also love the Snake River. The Snake River also features fishing, wildlife viewing, and some rapids depending on the time of year. Although it might seem like you can hike, fish, or go boating anywhere, the hiking, fishing, and boating here is unparalleled. The views of the Grand Tetons coupled with the wildlife make for a truly unique experience. The Grand Tetons are perfect for any vacation! As the month of June ends, the month of July will begin and all sorts of summer events will start to occur. Family reunions, camping trips, boating outings, weddings, and celebrating the 4th of July just to name a few. 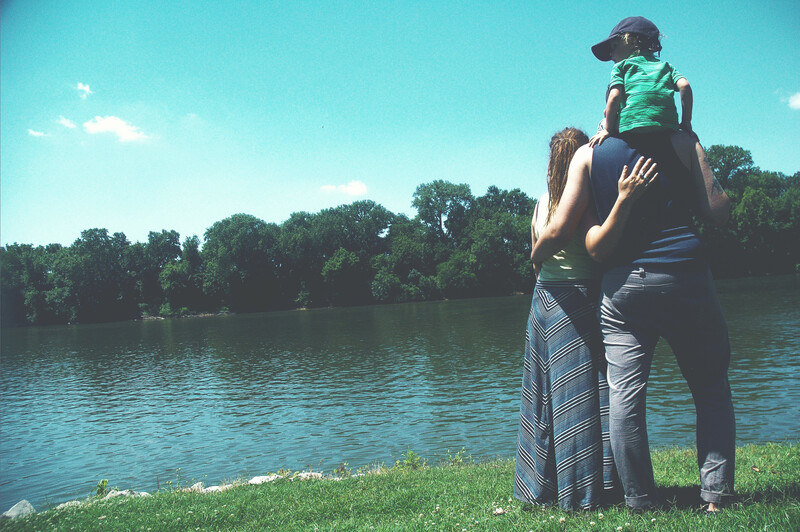 Since the fourth of July is coming up very soon, you’re probably focused on finding the best places to watch firework shows and spend the day keeping your children or families entertained. So where are the best places to watch firework shows? 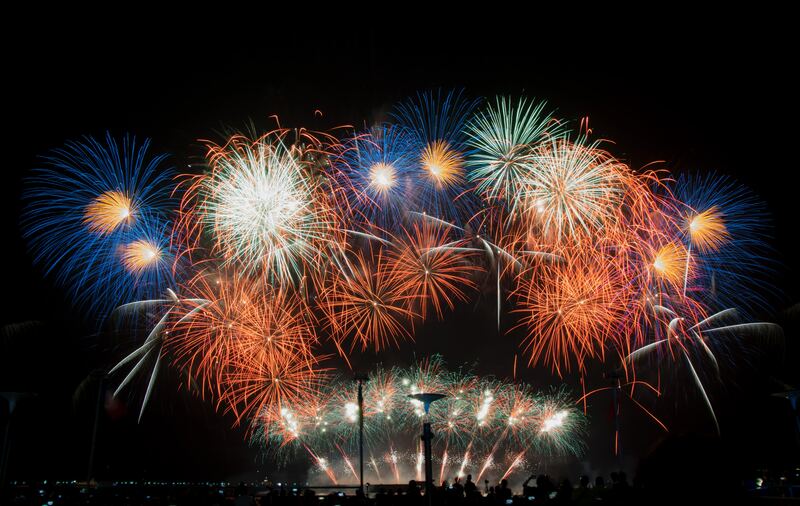 Below you’ll find a list of seven 4th of July locations with day activities and firework shows that range from Great Falls, Montana southeastern Idaho, and northern Utah. Let’s start with Great Falls, Montana. Great Falls is hosting a 4th of July Parade starting at 11:00 am. It will begin at Central Avenue and end at Margaret Park. The theme for the parade will be about celebrating America’s icons. In the evening, you can take your family the communities firework show. The firework show will actually begin at 10:00 pm. Next is Idaho Falls, Idaho. Idaho Falls has hosted one of the more well known firework displays in the western United States for a number of years. This year marks the 25th anniversary of Melaleuca hosting the celebration and it has been said that it’s going to be bigger and better than any previous years show. It has also been said that there will be over 17,000 shells launched in a 30 minute time frame all choreographed to music. You won’t want to miss it! Meridian, Idaho will be another great place to watch a firework show. Throughout the day there will be live music, local performances, inflatable obstacle courses, jump houses, food trucks, and games nearby the SKYES Mainstage. The actual fireworks display will be presented in a partnership with the Meridian Speedway at about 10:00 pm. Jackson Hole also has a great day full of fun activities lined up. The community will be hosting a street breakfast from 7:00-10:00 am, a parade at 10:30 am, a old school shootout at Town Square at 6:00 pm, a rodeo that will start at 8:00 pm, and then two amazing firework shows that start at 10:00 pm. One show is going to be held at the base of Snow King Mountain and the other at the base of the Tetons in Teton Village. Both will be phenomenal. Another great options is in Salt Lake City, Utah; no surprise there. Salt Lake City will be hosting their 4th of July firework show at Smith’s Ballpark. There will be a concert by the band America starting at 7:00 pm, along with a BBQ and then the firework show. Provo has an awesome 4th of July day schedule full of great activities too. You’ll experience great entertainment, food, handcrafted jewelry, a carnival and art exhibits throughout the day. The grand parade will start at 9:00 am and feature bands, floats, and giant helium balloons. It will start at North University Avenue and end at 900 East. The firework show will then take place at the Stadium of Fire (LaVell Edwards Stadium). Performers will sing as the firework show takes place. Logan, Utah hosts the Freedom Fire Celebration at the Utah State University Maverik Stadium, and has done so for a number of years. The gates to the show will open at 8:00 pm. There will be entertainment provided by The Party Crashers and the celebration will end with a concert and laser show. And of course, there will be fireworks. You can’t go wrong in attending any of these firework shows so pick a location and enjoy the 4th of July. Montana might be the most underrated state. With a population less than that of Rhode Island (a state 1/140 of its size), it’s widely considered as a state where there isn’t much to do. However, it’s the opposite. The next thing to add to your bucket list (even though you didn’t expect it): Visit Montana. 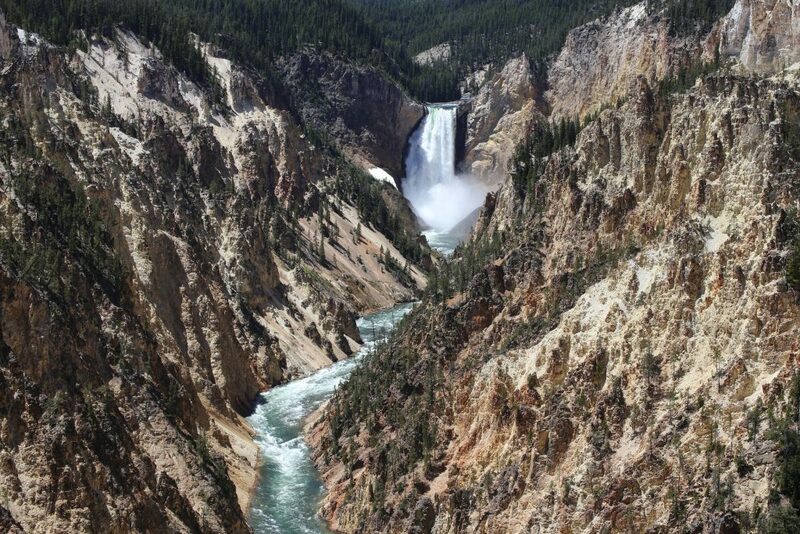 It seems fitting that the most underrated state would have the most underrated national park. Not many people have heard of Glacier National Park, located in the Northwest corner of the state. Glacier National Park has it all, from fishing and whitewater rafting to horseback riding and biking. Located in the heart of the Rockies, Glacier National Park offers both summer and winter activities. When you visit Montana, Glacier National Park is the last thing you want to miss. Click here to learn about what you can do in Glacier National Park. Right next to Glacier National Park lies the best ski resort in Montana: Whitefish Mountain Resort. With more than 200 on-mountain condominiums and more hotels near the base of the mountain, you can choose what housing best fits your needs. Whitefish features over 3,000 acres of land, meaning whatever your skill level, there’s more than enough terrain to choose from. Are you a big skier? Find out more about Whitefish here. If you’ve ever wanted to see a real ghost town, Montana has it. Bannack started as a gold-mining city back in 1862. A year later, a nearby city discovered gold and many abandoned Bannack. Less than 100 years later, the city was almost completely abandoned. Now, you can explore most of the structures that still stand (over 60 structures). However, you might want to steer clear if true ghosts aren’t your thing. Learn more here. We highlighted just three activities in Montana, but there’s so much more than that. Three of the five entrances to Yellowstone National Park are in Montana, each holding something unique. Flathead Lake is the largest natural freshwater lake west of the Mississippi. With 200 square miles of water, there’s tons to do. Some people like the smaller city vibe. For those people, downtown Bozeman isn’t something to skip out on. Visit Montana. It’s not something that you’d likely think of on your own, but it’s something every American should do in their lifetime. If you’re wondering how to get there, St. George Express can help you. Because it doesn’t have any professional sports teams or major skyscrapers, Boise might seem like a small city. However, Boise has a higher population than any city in Utah and has triple the amount of people as St. George. With so many people and things to do, it might just be time to visit Boise. Here are the top five things to do while in Boise. Perhaps the most iconic place in Boise, Boise State’s Albertsons Stadium boasts the only blue Astro Turf in the world. Fans from almost every other collegiate team complain about the turf, but Boise natives embrace it. More than 35,000 fans pack the stadium on Saturday nights in the fall. Stop by and hope that the gates are open, or watch Boise State take on their Mountain West Conference competitors in the fall. For those who love to observe animals, Boise has what you need. 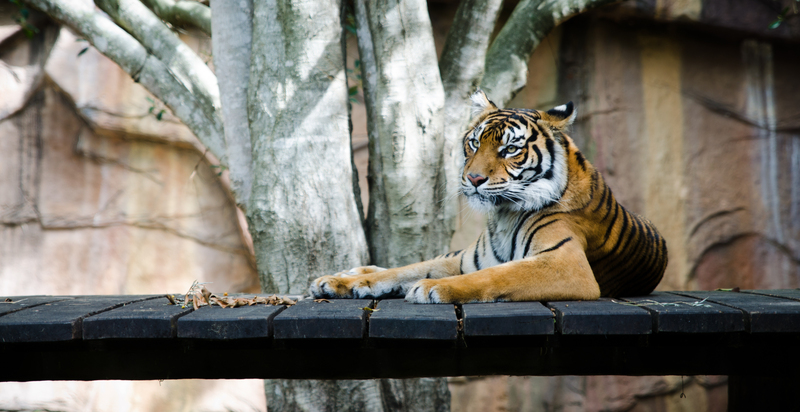 With the largest zoos and aquariums in the state of Idaho, families love to come watch the animals play. Pick either one and spend a day there, or plan well and enjoy them both in the same day. Click here for more info on the zoo, and here for more info on the aquarium. Aside from the zoo, there’s a special center dedicated to the birds of prey. For the bird-lovers out there, $7 buys you a ticket to see tons of different birds of prey, most of which need to be in there to preserve their lives. Learn more about the center and each bird here. For the outdoor lovers, the Boise River Greenbelt has it all. Fish, bike, walk, float down the river, run, and more, all right next to the river. The greenbelt also stretches across 12 parks. With events happening often in at least one of the parks, there’s always something going on. 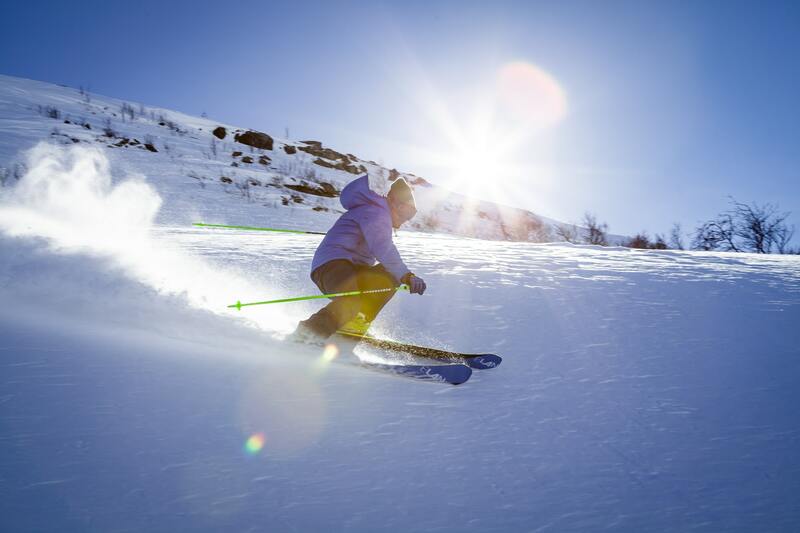 While Bogus Basin Mountain features summer activities, their biggest hit is skiing in the winter. With three high-speed quads, eight lifts, and 78 official runs, skiers and snowboarders come from all over to enjoy it. Love to ski or snowboard? Click here for more info. Whether you choose to visit Boise in the summer or winter, there’s always something to do. Next time you’re trying to think of a place to visit, let us help you visit Boise.